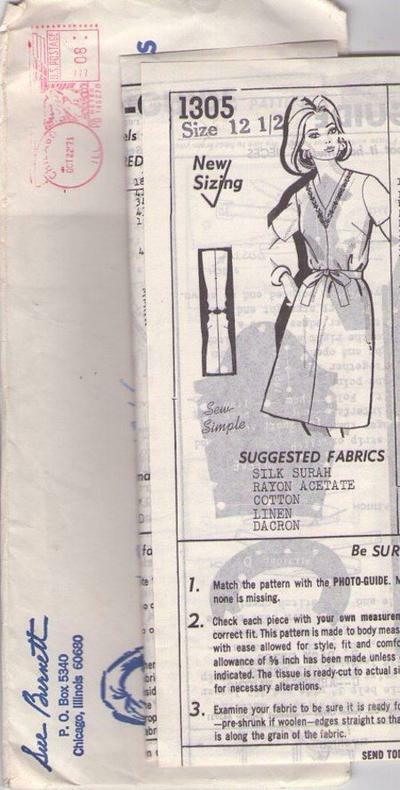 Bust 35", Waist 28", Hips 37"
1971, 70s Office, Retro Casual Clothing Patterns - Easy to sew dress with V neck is sleeveless or has short sleeves; underarm darts, back zipper. Tie belt. CONDITION: This Original Vintage Sewing Pattern is unprinted and was used. All pieces appear to be complete and intact and have been neatly refolded with the original instructions. Includes original mail away envelope.